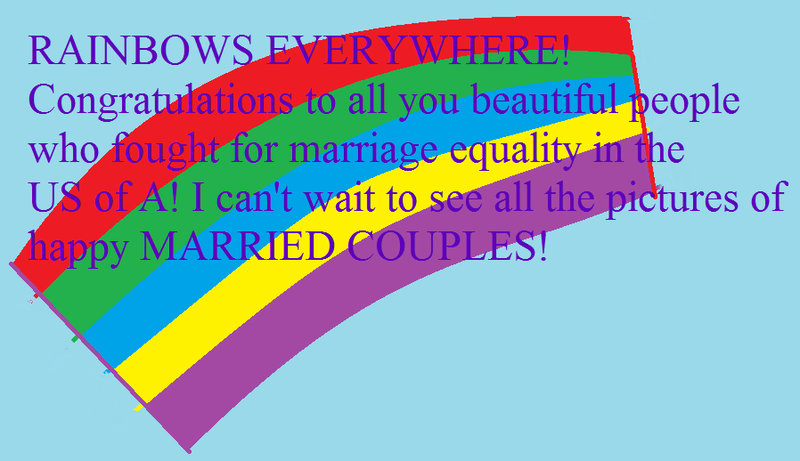 This entry was posted in The Journey and tagged HOORAY, marriage equality, OMG, rainbows, RAINBOWS EVERYWHERE BIOTCHES!! !, SO FREAKING AWESOME, WOOHOO. Bookmark the permalink.